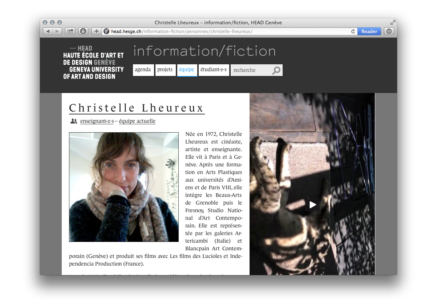 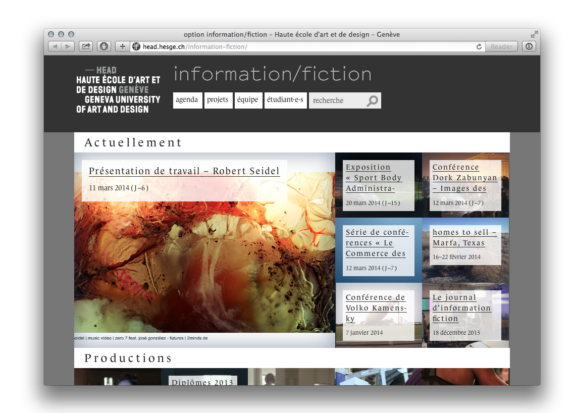 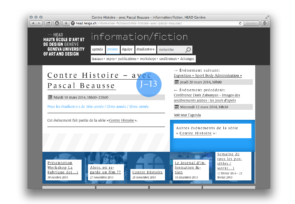 A website for Information/Fiction, a bachelor studies programme in visual arts at HEAD Geneva. 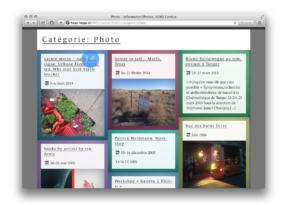 Custom logic for selection of featured posts on the front page. 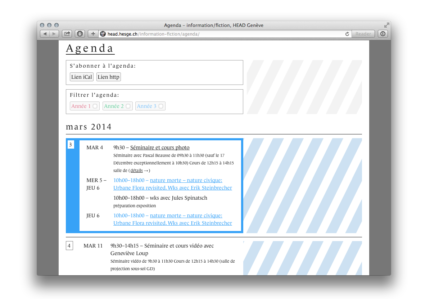 Enhanced and customized Colorbox script. 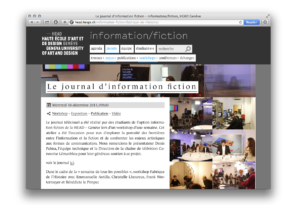 Using the webfont Le Monde Journal, by Typofonderie.